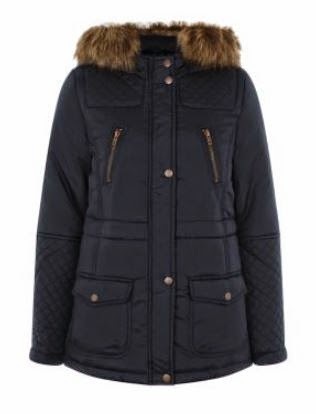 Oh Internet shopping will be the death of me eventually! After not having the Internet for nearly two weeks, I feel like I owed it to my favourite shops to make a cheeky purchase tonight! And then 20% off emails landed in my inbox as if they knew I needed to spend some money! Those pesky voucher codes! 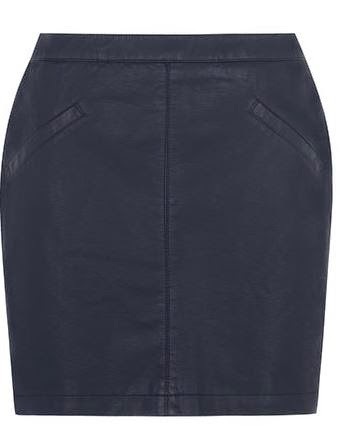 The first item I bought was this navy leather look skirt from Dorothy Perkins. For £24 I thought it was a steal anyway. I already own a black leather skirt and wear it pretty much all the time so it’s going to be nice to inject a bit of colour into my wardrobe. 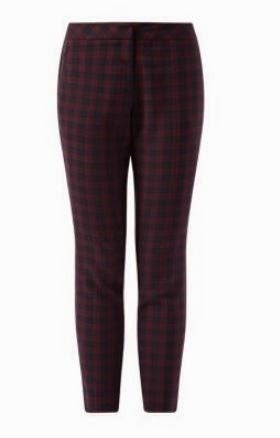 Next up, I purchased these plum tartan trousers from New Look for £19.99. I’ve got loads of plain black, grey and white tops that need jazzing up so these are ideal. I also have a huge obsession with golf and my favourite golf player, Ian Poulter, is renowned for his dress sense (I’m not joking, type his name into Google right now!) and these are in honour of him I suppose! I’ve been looking for a new parka for nearly two months now seeing as my khaki Asda one is just about on its last legs after a lovely 3 years together. I’ve ordered the black one rather than the navy as I thought it would go with more colours. 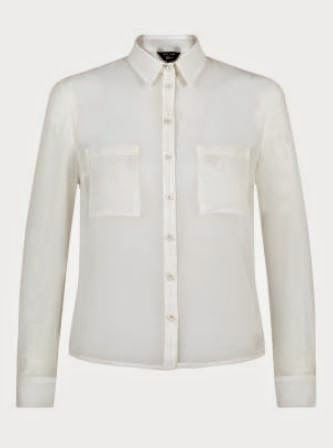 Finally, I bought this cream chiffon blouse to add to my wardrobe. Again, I’ve got loads of skirts/shorts/skorts and very little to wear them with for night! This with one of them and a pair of heels will look dressy but not too dressy, if you get what I mean! I’ve opted for collect from store delivery from both stores as it’s free and more convenient for me to pick them up when I can. Be quick ladies though because they run out in a matter of hours!